It is wonderful to see the pelvic floor gain more media attention these days! As a yoga professional, you are well positioned to address pelvic floor wellness in your classes. Unfortunately, accurate information about the pelvic floor is not always conveyed. What is the first thing that comes to mind when you think of practices to promote pelvic floor health? Kegel exercises? Mula bandha? If so, you may want to read on. While it is true that a healthy pelvic floor is one that is capable of being engaged and controlled voluntarily, it also needs to engage automatically in a functional, refined and coordinated way with other muscle groups. A healthy pelvic floor also needs to be extensible, be able to relax and move through its full excursion in timing with the respiratory diaphragm during the breath cycle. The pelvic floor expands, widens and descends as we inhale; and ascends into its dome-shaped position on exhalation.1 The amount of excursion and force that the pelvic floor produces as it moves up and down in timing with breath depends on the demands of the task. The ability of the pelvic floor to fulfill its roles in bowel, bladder, reproduction and sexual function as well as the roles it plays in breathing, core strategies, posture, hip function, and dynamic balance will depend on a variety of factors. That said, there is definitely a time and place to cue an isolated pelvic floor muscle engagement. But it is not within a yoga professional’s scope of practice to evaluate the state of the pelvic floor in order to know if practicing pelvic floor contractions are appropriate for each student. Nor can the yoga professional accurately assess if the pelvic floor contraction is being performed correctly without actually manually palpating or using electrodiagnostic measuring devices, which are techniques used by licensed healthcare providers such as pelvic floor physiotherapists. So what can you do as a yoga professional to address pelvic floor health and wellness in your classes? Pelvic floor relaxation may be promoted in certain poses where the hips and pelvis are positioned to allow the pelvic floor to gently be in an expanded and relaxed position. This may include Extended Balasana, Malasana (Squatting Pose), Gomukhasana (Cow Face Pose) or Ananda Balasana. But keep in mind that the state of the person’s nervous system contributes to muscle tension. So, just because a pose is known to relax and “stretch” a muscle, does not mean it will in everyone. The factors that contribute to whether or not a muscle relaxes are complex! As yoga professionals, you have access to many practices to help your students feel safe and to calm the nervous system which will help relax muscle tension throughout the body, including the pelvic floor. You can offer calming breathing practices, mantras, chants, mudras, meditations, supported restorative positions, slow rhythmical movements or use language that can help calm the systems. There are ways you can facilitate the full excursion and engagement of the pelvic floor muscles in a functional way, without cueing a pelvic floor contraction specifically. Research shows that the respiratory diaphragm and pelvic floor muscles engage in a sophisticated, automatic, and coordinated way. Focusing on breathing methods that enhance respiratory diaphragm excursion and rib expansion can potentially facilitate pelvic floor engagement. Research also suggests that activation of certain hip musculature plays a role in the functional integration of pelvic floor muscle engagement. Therefore, you can use this information to facilitate pelvic floor engagement by choosing poses and movements that are associated with engaging hip muscles such as adductors, gluteus maximus, and the deep hip rotators, while at the same time coordinating these movements with the expansive breath, visualization, and awareness of the natural pelvic floor rhythm. I wrote about this in more detail in Shore Up the Floor: 9 Ways to Help Your Yoga Students Engage their Pelvic Floors. I hope this provides some new insights and gets you thinking about how you can incorporate pelvic floor wellness into your classes in safe and effective ways. For more resources that expand further on this topic, both the theory and practices, see the references below! Reprinted with permission from PhysioYoga Blog. Pelvic floor diagram copyright Ray Long, MD used with permission. **This article is not meant to act as medical advice nor meant to replace your current treatment. Please seek clearance or guidance from your licensed medical healthcare professional prior to participating in any of the mentioned tips, advice or movements. Shelly Prosko, PT, PYT, CPI, C-IAYT is a physiotherapist and yoga therapist dedicated to educating, empowering and inspiring individuals to create and sustain optimal health by teaching and advocating for the integration of yoga therapy into modern healthcare. She is a respected pioneer of PhysioYoga, a combination of physiotherapy and yoga. Shelly guest lectures at medical colleges, teaches in numerous yoga therapy programs and yoga teacher trainings, speaks internationally at yoga therapy and medical conferences, offers onsite and online continuing education courses for healthcare professionals, yoga therapists and yoga teachers, and offers workshops and individual sessions for those suffering from a wide variety of conditions, including pelvic floor dysfunctions and persistent (chronic) pain. 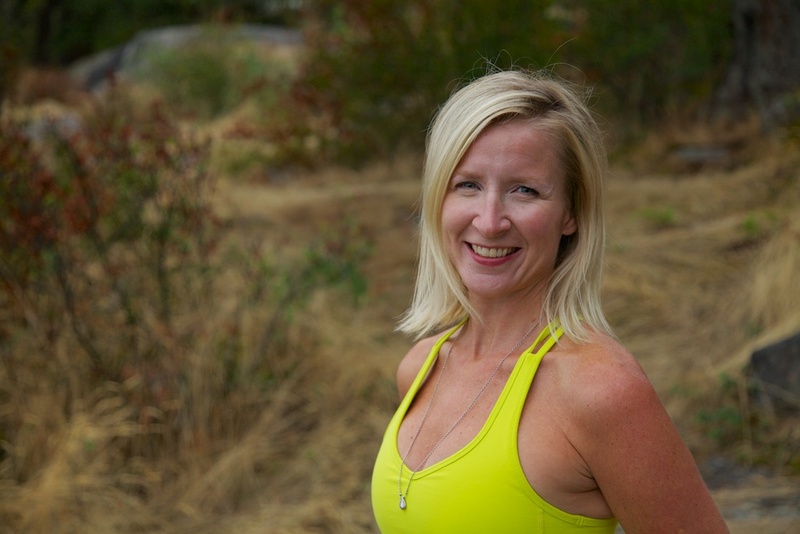 Shelly has extensive training in a variety of specialty areas and over 20 years of experience of integrating yoga into rehabilitation and wellness care. She emphasizes the immense value gained from clinical experience and learning from the people she works with and the students she teaches. She considers herself a lifelong student, truth seeker and change maker. Please visit www.physioyoga.ca for more info and links to yoga resources and practices related to pain and pelvic floor health.